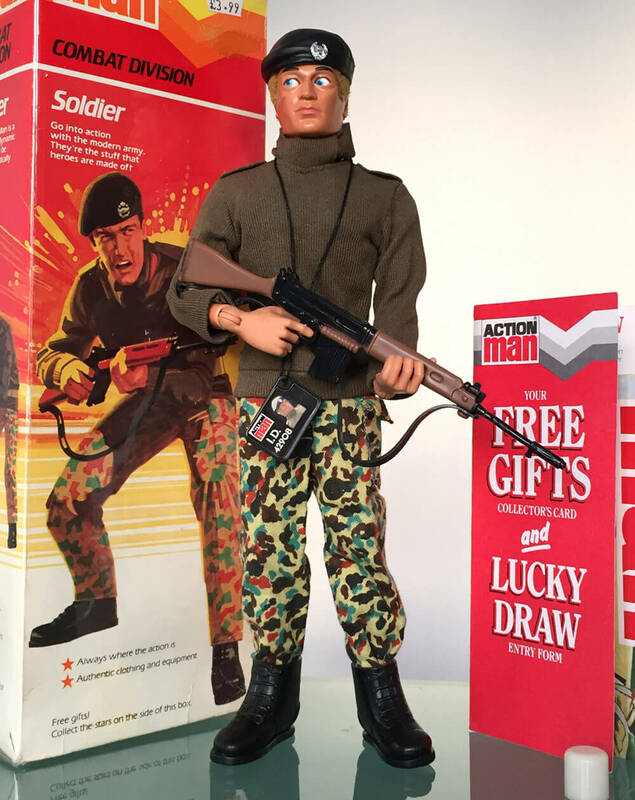 "Go into action with the modern army. They're the stuff that heroes are made of". 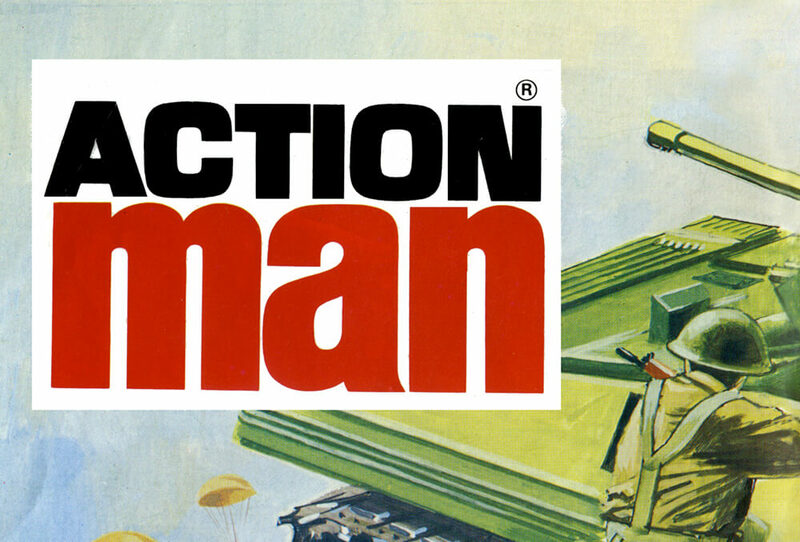 The basic Action Man Action Soldier figure from 1966, was replaced by a flock haired Action Soldier figure in 1970, and then this 'Gripping hands' version in 1973. This set's materials were improved around 1975. 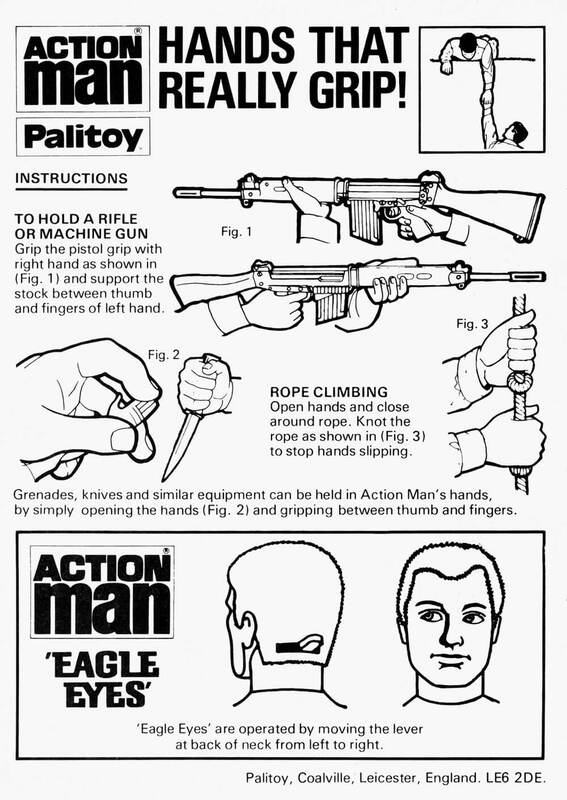 The Eagle Eyes head arrived on the old figure in 1977. 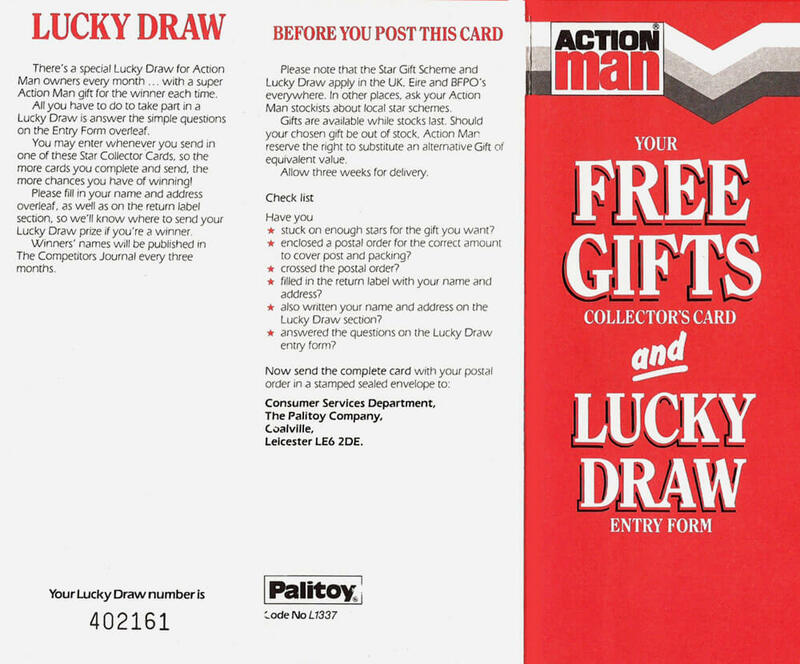 The dynamic physique (or 'Blue Pants') figure was released for 1978. 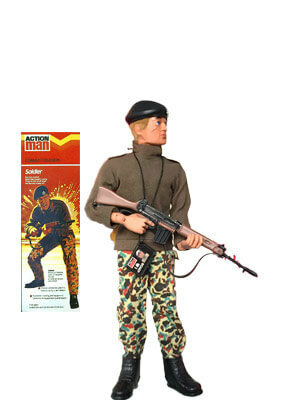 The 1983 Soldier was the last of the soldiers. 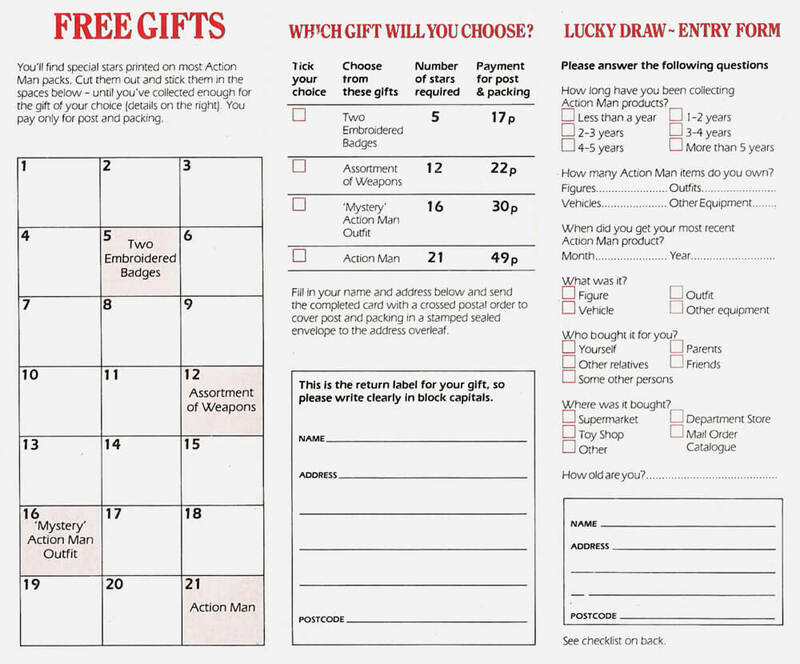 It could be accessorised further by equipment card sets. 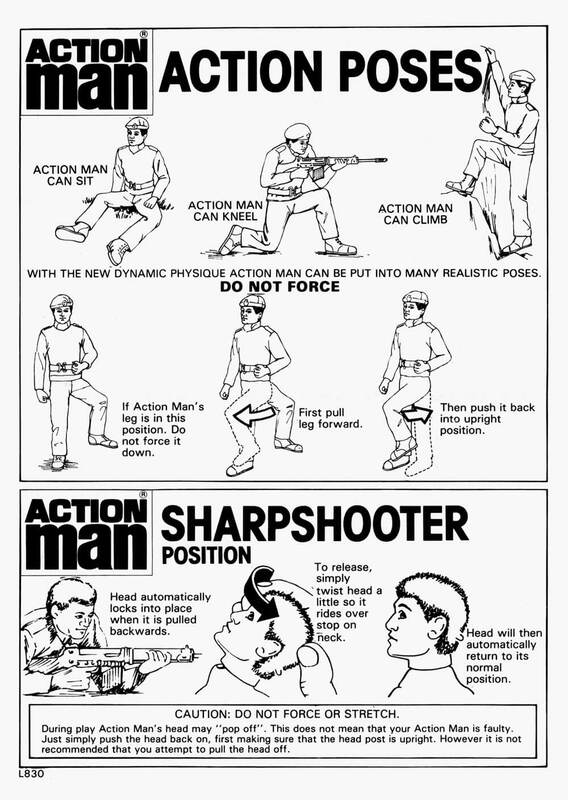 The dynamic physique (blue pants) figure was to be the last iteration for the Action Man Soldier before he retired in 1984. He would have had all the improvements bestowed upon him dating from the original 1970 figures' new flock hair. So he sported 'Realistic Hair, 'Gripping Hands', 'Eagle Eyes', 'Dynamic Physique'" and 'Sharpshooter Head'. The last of the figures had a perceivably lighter blue iris. 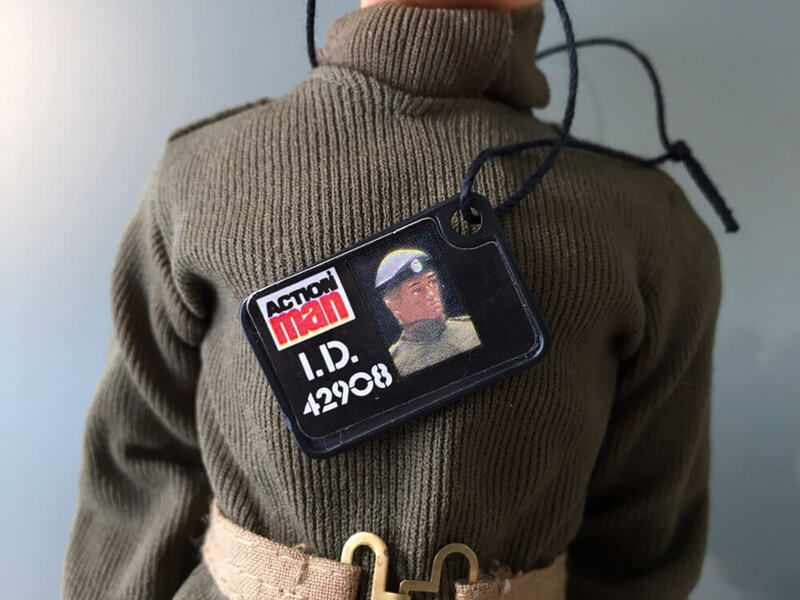 He came with an Action Man black plastic ID tag with printed labels and a string that were applied by the owner. 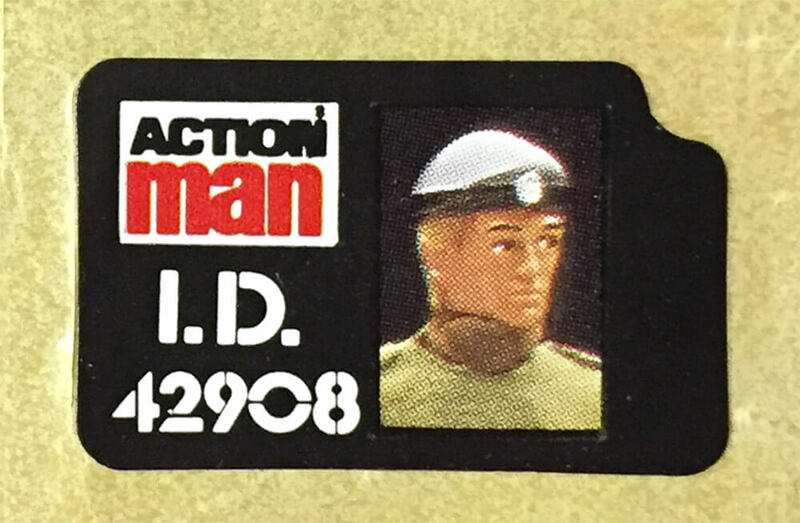 These tag decals were different for each of the other key boxed figures. 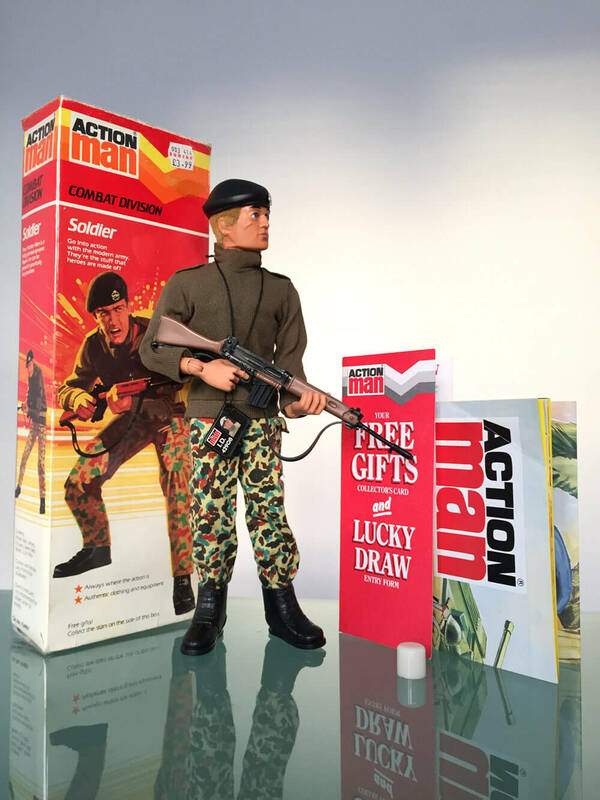 The Action Man 'Chevron' packaging was the last style of branding - it was said to have formed a uniform eye-line on toy shop shelves until 1984. 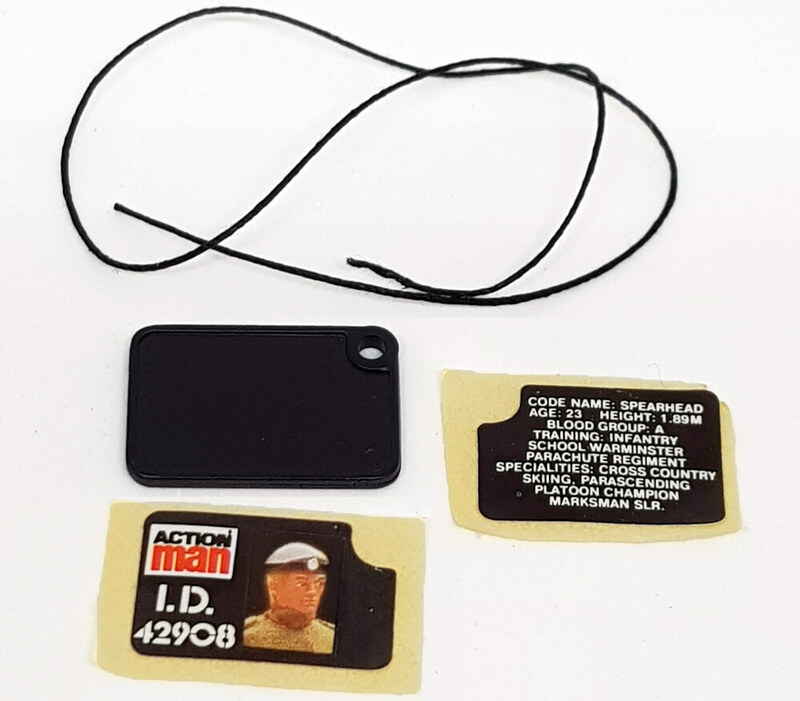 Beret is a flatter version of the first type of black plastic beret and looks quite different. 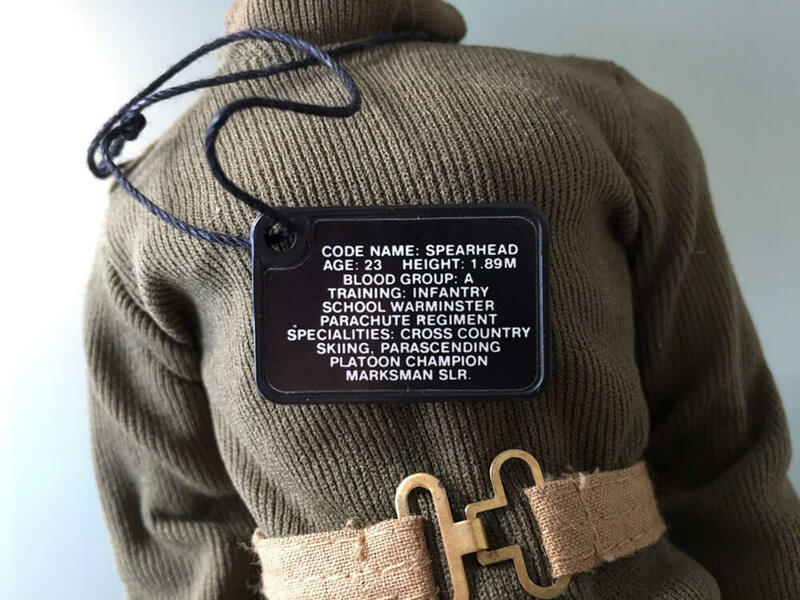 Beret badge is susceptible to partial damage - top or bottom quarter often missing. The synthetic material Jumper and muffler should not be confused with the earlier wool versions. The boots are a wider lace spacing than preceeding boots (of which there are numerous versions!). The SLR rifle now has a more caramel coloured stock (as opposed to brown).